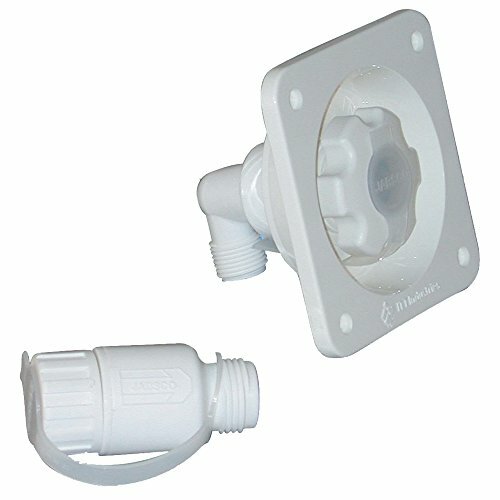 Flsh Wtr Pres Rgltr 1/2"
SHURFLO WALL MOUNT PRESSURE REGULATOR Quick, permanent wall mount. Continuous protection from high pressure surges. Fits standard hose fittings. Built in check valve. 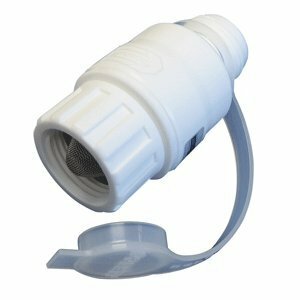 This combination water regulator and check valve with exclusive SHURFLO diaphragm design provides continuous protection from high pressure surges in the city water system. Pressure limited to 65 PSI. Leak tight construction. Quick, permanent wall mount installation on walls of any thickness. Filler/Regulator, Wall Mount, with 65 PSI. Chrome. 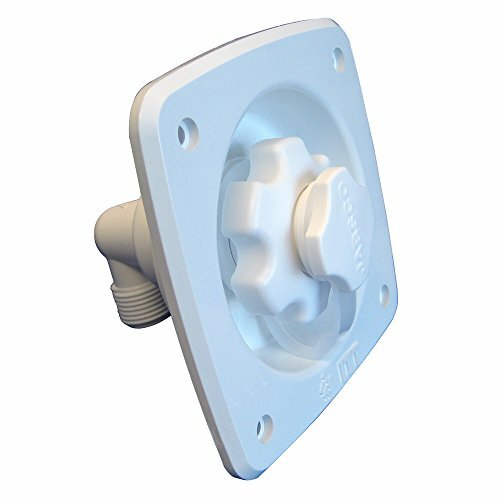 SHURFLO WALL MOUNT PRESSURE REGULATOR Quick, permanent wall mount. Continuous protection from high pressure surges. Fits standard hose fittings. Built in check valve. This combination water regulator and check valve with exclusive SHURFLO diaphragm design provides continuous protection from high pressure surges in the city water system. Pressure limited to 65 PSI. Leak tight construction. Quick, permanent wall mount installation on walls of any thickness. Filler/Regulator, Wall Mount, with 65 PSI. White. 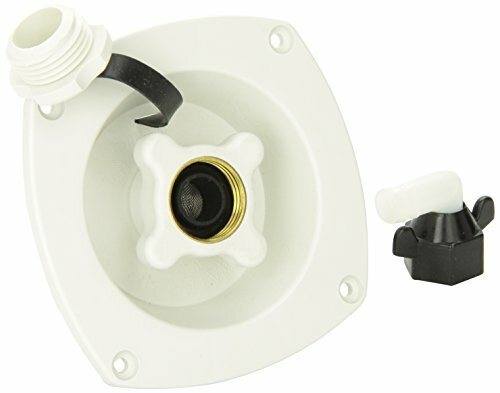 JABSCO WATER PRESSURE REGULATOR. 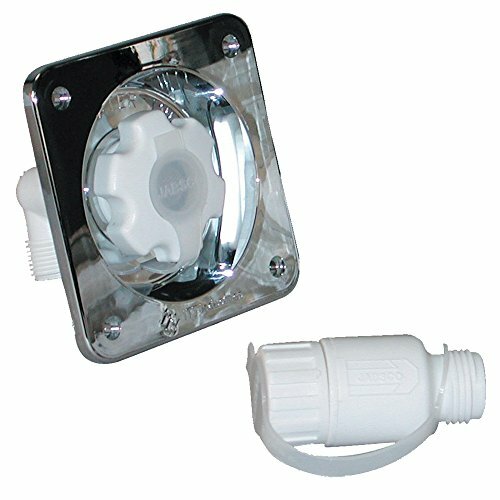 FLUSH MOUNT MODEL 44411-SERIES. Designed for day and night protection of the entire plumbing system fromunregulated city water system hook-ups. 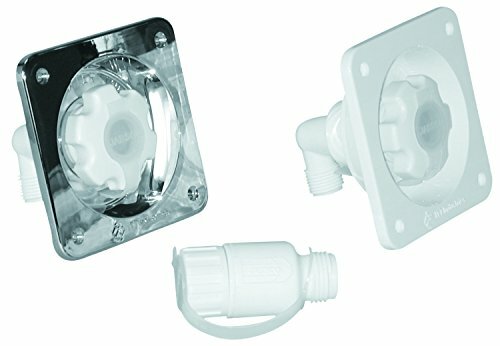 Whether connected to a dock-sidemain or a campground faucet, the new Jabsco Regulator will maintain regulatedoutput at low or high flow rates. The removable strainer protectsvalves and seal-seats from pipe scale and other debris. Reduces unregulated city water pressures that can runas high as 125 psi down to a safe 45 psi - automatically. Features built-in backflow preventer. 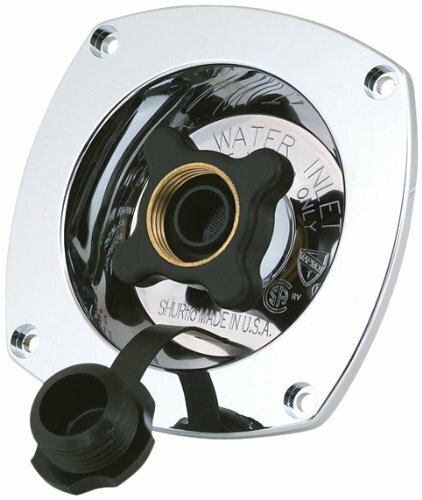 Federal and Staterequired on RV's with water service hookup. Flush mounts permanently in vessel super structure. Easily replaces most original city water entries. Automatic pressure regulation. Built-in backflow preventer. Easy cleaning strainer. Dust cap. Shopping Results for "Jabsco Water Pressure Regulator"